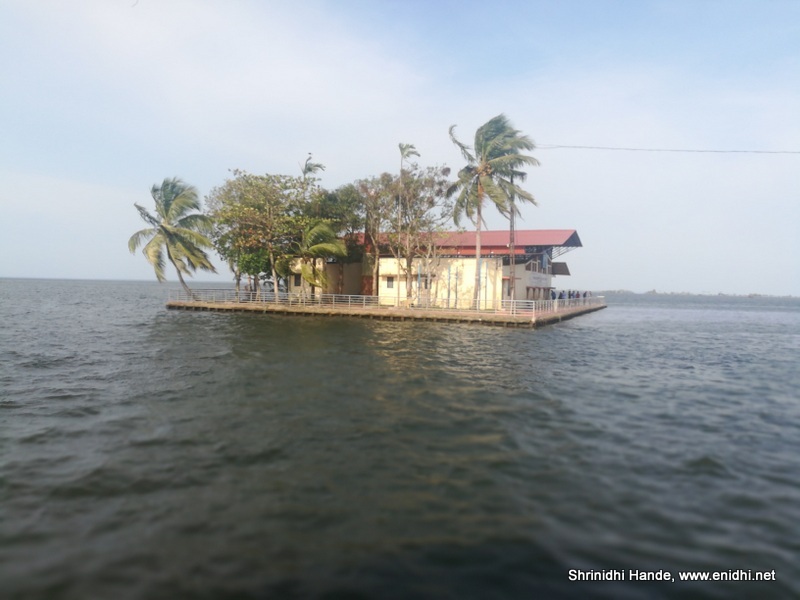 This post is intended for those looking to experience world famous Alleppy House boat stays in Kerala but looking for details if they are safe and accessible given the recent floods. I spent a night in a houseboat 10 days ago and this post is based on my personal experience. Alleppy Houseboat status: Brief update: House boats are back in action, approach roads to Alleppy are fine and you can enjoy house boat stay now at off season rates. Mid August 2018, Kerala received highest rains in about a century and most of Kerala was either under water or suffered massive disruption by means of landslides, water-logging, lack of essential supplies and so on. Alleppy or Allapuzha, the base for majority of houseboats in Kerala was also affected. Naturally the news of flood worried tourists and there were mass cancellations of bookings- even those who had planned to travel in by October, November etc also have cancelled, fearing flood news. But the ground reality is different. House boats were back in business within 2 weeks- by first week of September and are ready to welcome tourists. Flood water is long gone- water level is back to normal now, approach roads are perfectly fine and it is fully safe to travel to Kerala and enjoy your houseboat stay. 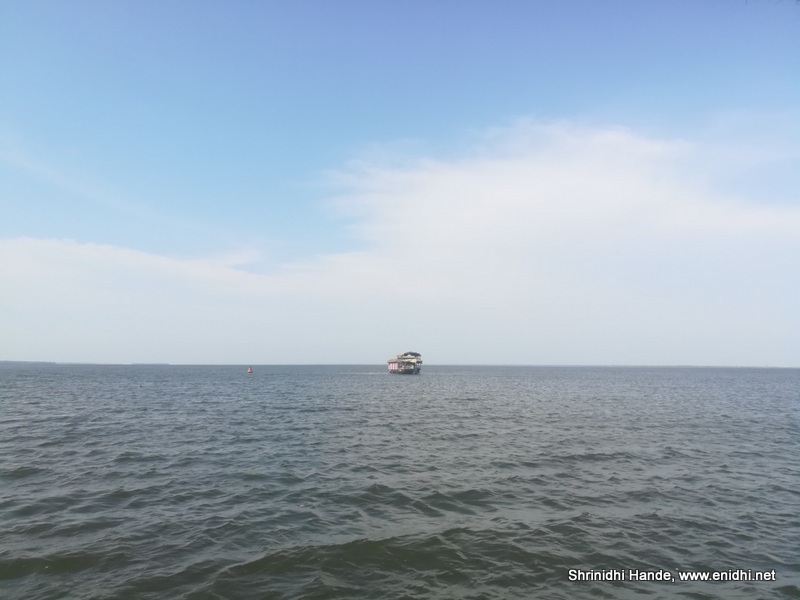 Recently I spent a night in a house boat in Kerala’s alleppy and the experience was great. The operator told me this- there’re about 1820 house boats in Alleppy area. The company which operates the house boat in which I booked- Panorama Cruises owns 5 house boats, including a large 11 bed room one. They were sold out till March 2019 but have suffered massive cancellations post floods. At present they are managing to sail about one boat per day on an average. 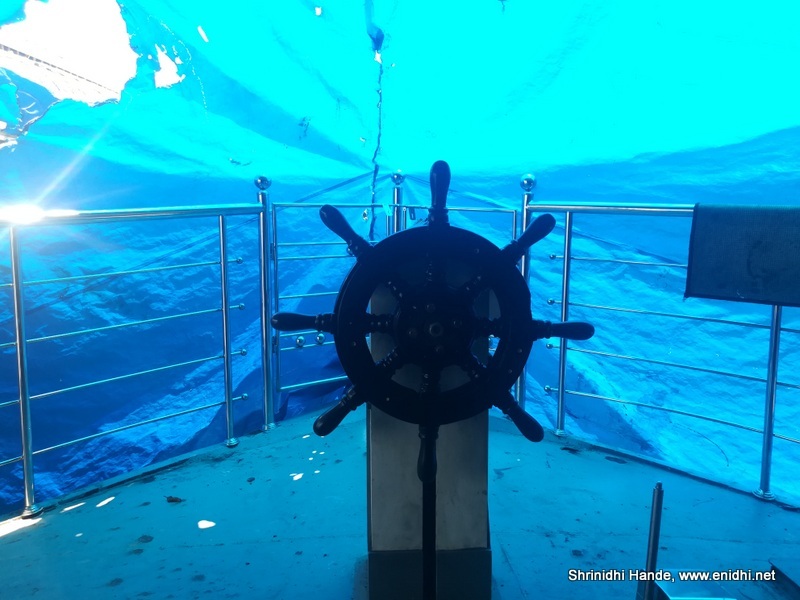 Most other house boat operators are also facing same situation. They are waiting for news of recovery to spread and customer confidence to revive. Flood water is nowhere to be seen. It is long gone. The canals are all empty as most houseboats are parked for want of customers. Many owners are using the time tor maintenance/enhancement of the house boats. From my previous visit to Kumarakon, I was aware that booking an entire houseboat costs some Rs 7000 onwards- depending on location, no. of bed rooms, what’s included and so on. 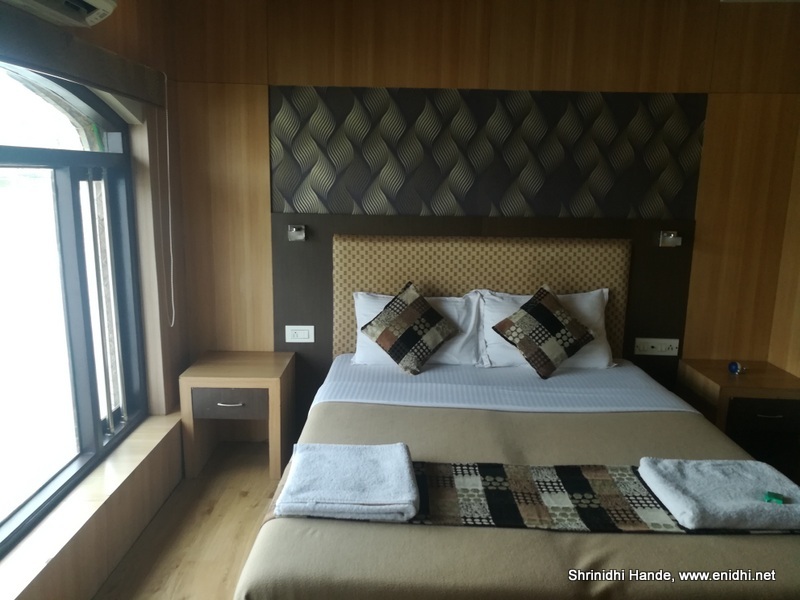 This time, we were just two people, so while I was scouting for options, Casino Houseboat got listed on Booking.com for INR 4999 which sounded Ok. After tax it became 5900 and a Rs 100 parking included, total spend was Rs 6000. But this was for a shared house boat. Two other bed rooms were occupied by another family. This amount is believed to be on the cheaper side off-season rate. I saw an even cheaper rate of 4300 per night for a random date- so use your discretion. Only upon boarding I realized that Casino Houseboats are not the owner/operator- the boat was being operated by Southern Panorama Cruises. 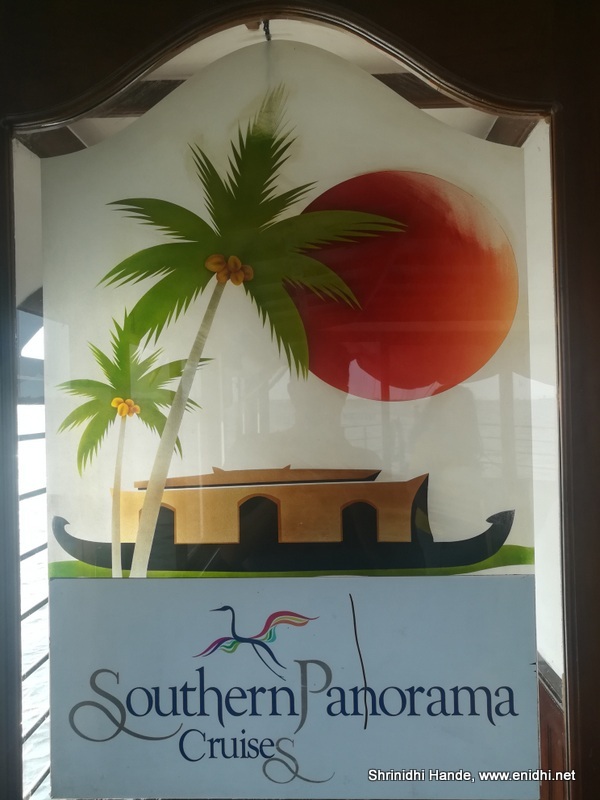 So my payment involved cut for Booking.com, Casino Houseboats and Southern Panorama- should deal with operator directly next time. If you're at least 4 people, you can book a two bed room house boat and have everything as per your choice. Since we were two, we opted for shared house boat, so some activities were not as per our choice. Arrival: I was promptly guided and was asked to park our car in a private house. I assumed it is free, but house owner demanded Rs 100 parking fee next morning. The house boat docking area was about 200 meters from this house. 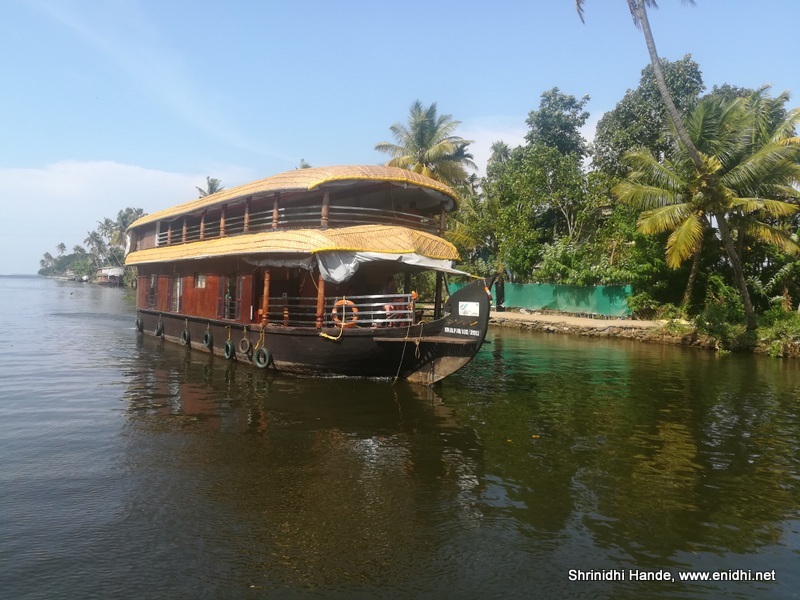 Most house boats start from the spot infront of Ramada Hotel in Alleppy. Ours was a bit away- some 500 meters away. 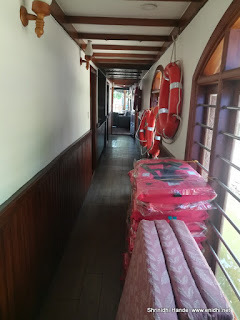 We reached by about 11.30 AM and were allowed on the house boat, while we waited for other guests to arrive. A welcome juice was served-orange juice from tetra pack-a proper tender coconut would have been much more local experience. Stated departure time was 1.30 PM. We had to kill time watching other house boats under construction or repairs. Apparently the other family was late and wouldn’t be able to join us on time. Boat moved at about 2 PM, we were served veg lunch, which was good. 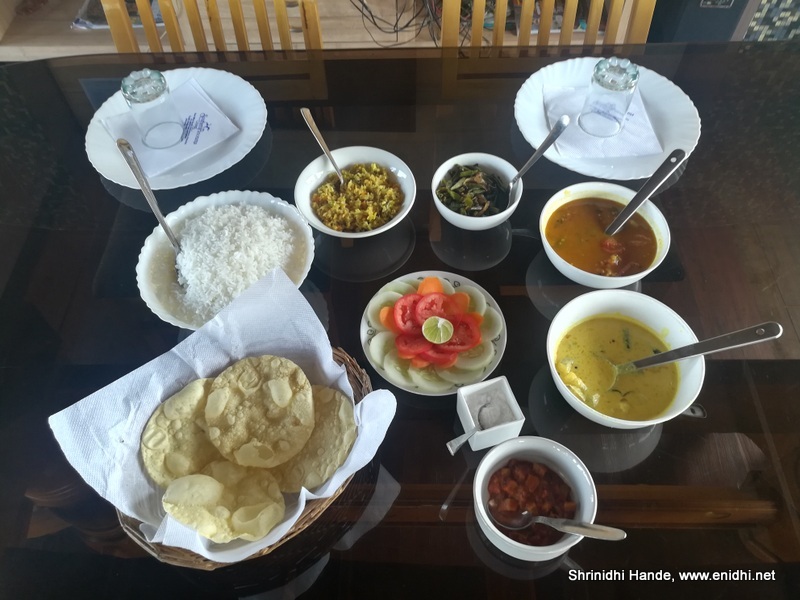 Included Papad, Rice, Sambar and other typical south Indian items. Food menu can be custom arranged if you can communicate and confirm in advance. The room was spacious, nice bed, window with curtains, AC that would be run only from 9 PM to 6 AM, few lamps. But didn’t have any chair or almirah. Two out of the three power sockets were not working. The lounge area was spacious with two comfortable sofas, a dining table, TV and some music system. TV was not working. Glass enclosure for the living room was effective in keeping mosquitoes and insects at bay during the night. The house boat left its berth, passed through Ramada and entered the large backwaters of Alleppy. The other party was picked up somewhere down the canal-a group of two families from North India who arrived direct from airport. The cruise continued. The Alleppy backwater is very vast area, but our ride covered less than 10% of it. One of the interesting aspect of riding houseboat was being able to see sunset over the lake, which is supposed to be magnificent. But our house boat stopped in some random place in a canal from where no sunset could be seen. I brought it to the attention of the crew but they were reluctant to move. Their statement was “each boat is assigned a spot” which doesn’t make sense, as there were very few boats in water due to flood related cancellation. 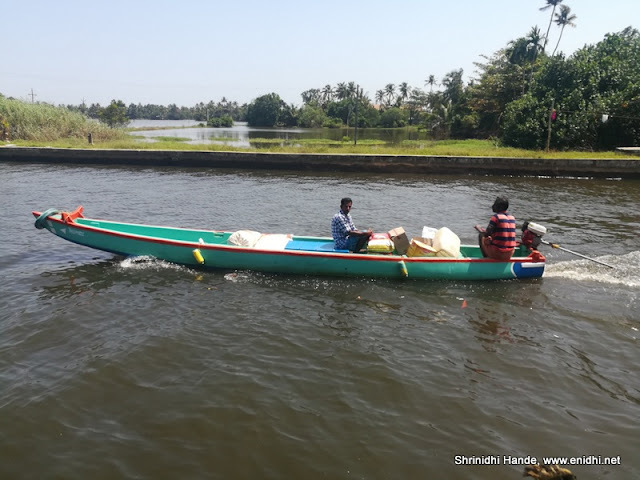 They were trying to sell an additional service- ride in a small boat into the canals for an additional fee of Rs 300 per person. This was not disclosed upfront in the itinerary. Guests also had an option to go for a body massage in some parlor by the bank. I decided to skip these and walk on the banks for a while. I managed to salvage the sunset situation by walking 1.5 kms across the canal bank till I could find a spot that offered some sunset view. Not satisfied with this picture though. Post sunset we had dinner. Similar veg food as morning. Our Houseboat had glass windows on all sides to prevent mosquito and insects from coming inside- particularly during dining- many houseboats that do not have proper shield will be less comfortable. TV was not working, some music was played for the benefit of other party. We went to sleep early. Staff came and explained how AC works- it works on inverter power and doesn't have temperature control- it was set for 17 degrees and if it gets too cold I was told to switch it off for sometime and then switch on again. Boat reached same spot from where we had started and berthed there for the night. We could go back to our car if needed or even go to town. Drinking water given to use was not from sealed water bottles, but water bottles refilled from 20 litre packaged water can. Was fine for us but just FYI. Woke up early and went for a walk into town. Boat would start only by 8 AM for one last hour of breakfast ride and then our trip would end. No hot water is available I am told (for bath). 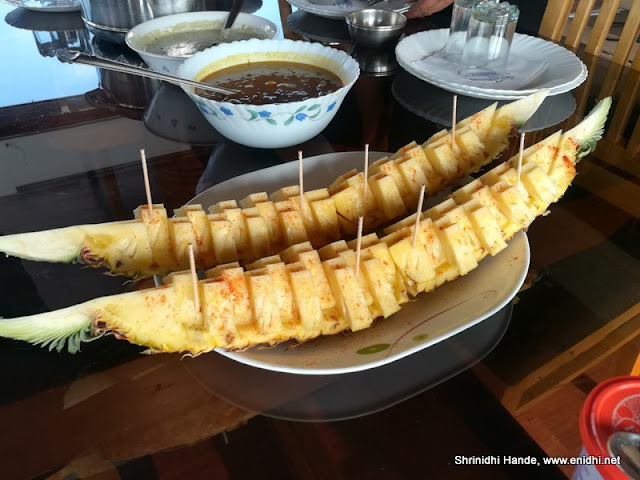 Breakfast was fine- Pineapple was cut in a very creative way to represent house boat. Before leaving staff made a short video of our experience- probably to share on their social media accounts. About 9AM we left the house boat, back to our car and proceeded to Vagamon. Overall the experience was fine. House boat stay is a popular bucket list item,happy to tick it off. Don't think I would do it again and again. Should try next in Kashmir. 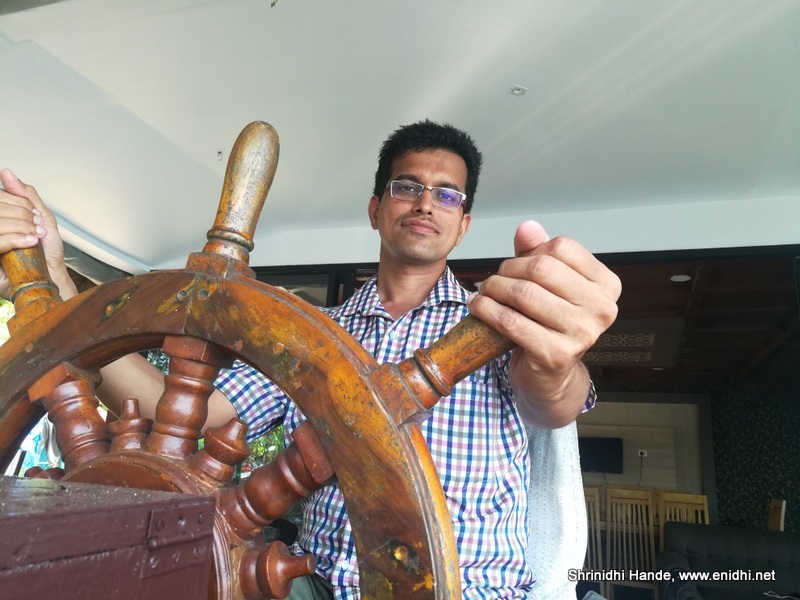 So what all to check while booking a house boat? 2. Does the hour boat suit your purpose? 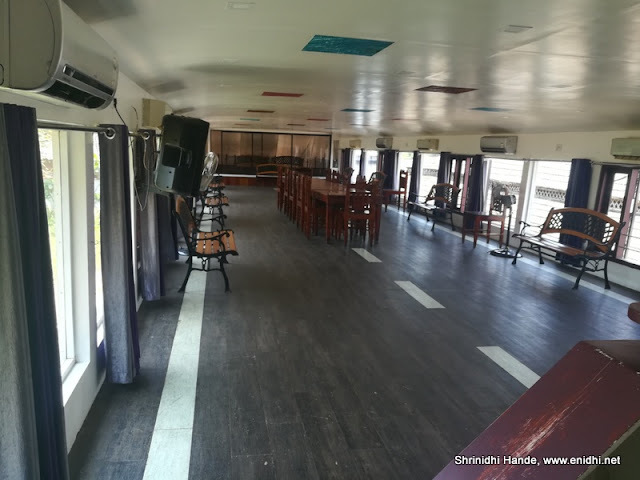 Houseboats come in different size and purpose- if you're a large group, looking to party etc you should book a double decker house boat with enough bed rooms, party space etc. If you're on a honeymoon you would need a one bedroom houseboat all for yourself. If you're just two and on budget, shared house boats would be good idea than spending for entire boat. So depending on your purpose you should book. Most house boats are single deck, but bigger ones are double deckers, or at least have a balcony in upper deck. 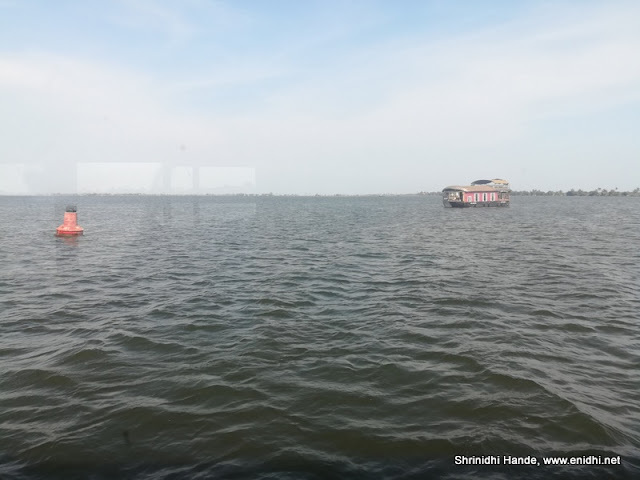 Some houseboats offer start at Alleppy and Drop off at Kumarakon. Or if you don't have full day you might be able to negotiate a half day ride for lesser price. 3. With whom are you booking? Where possible deal direct with operator or at max one middleman like say booking.com. Advantage of booking.com is that it allows full control-cancel/modify anytime, pay at property etc-a convenience for which you may be paying upto 20% extra. Dealing direct with operator means often having to pay upfront, deal with more complicated cancellation/modification terms but might save you a bit. I have made some video clips- will upload them shortly. Stay tuned to my Youtube Channel. 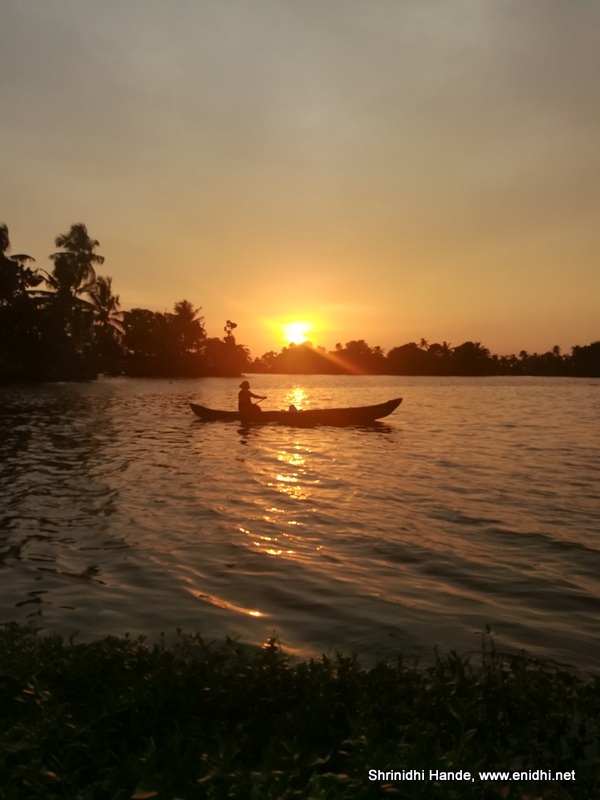 Summary: It is fully safe to visit Kerala and experience Alleppy Houseboats. You will get off season rate now as demand is low- you might as well walk in, negotiate and board. 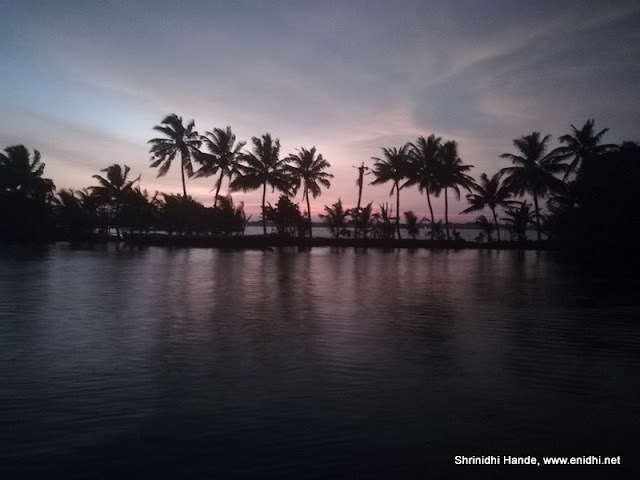 No need to cancel your Kerala plans. Alleppy has been on to do list for so long...haven't yet gotten around in planning a trip.